Bringing to fruition a project that began almost five years ago, Variety reports that The Neon Demon director and exploitation cinema enthusiast Nicolas Winding Refn has been given the green light for his remake of one of the most notorious B-movies in director William Lustig’s long career of same: Maniac Cop. A London-based financier has come aboard the project, which is being produced by Refn and his partner Lene Børglum; Lustig is coming on as a “creative producer” as well. Refn says he’s reframing the movie from horror to ”a contemporary and realistic action thriller,” which has the potential to be problematic, give that a realistic take on a uniformed police officer who kills people in cold blood is far less culturally acceptable in 2017 than it was in 1988—or even in 2012, for that matter. That being said, the “Maniac Cop” is the villain of the piece, and will be pursued by a female police officer determined to expose the murders. 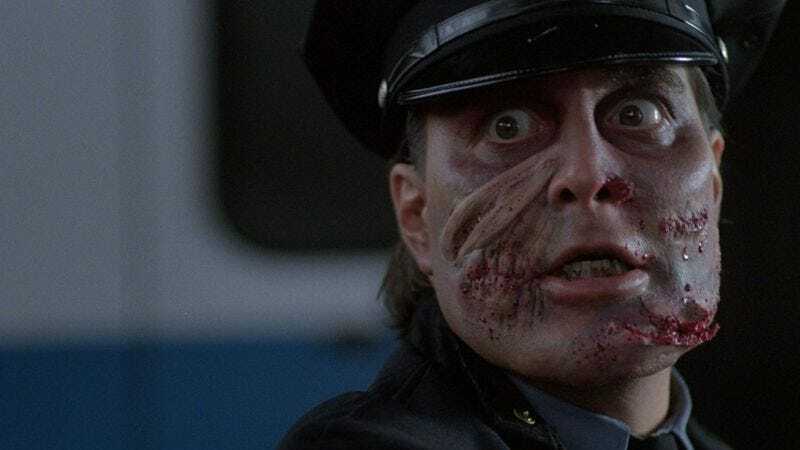 Casting for Maniac Cop is currently underway—impressively chinned actors, submit your resumes now—and the film is set to shoot in Los Angeles this summer.